Kinda funny you say this when Teen Gohan gained an amazing auto combo and Lariat this patch. Kid Goku's hidden level 3 is indeed Super Saiyan 4. Likely in the same style as Goku's SSJ3, so just a cutscene. No scans yet but the source is this guy, they're realiable with V-jump leaks. Did anyone really think they were going to make SSJ4 an install with its own moveset, hitboxes, and hurtboxes, essentially giving people two characters for the price of one? Of course it's just a cinematic. Ugh, please be early May at least. I did, but I’m a dreamer. I never even watched DBGT beyond one or two eps at the very beginning. I have a rather vague idea of what SSJ4 is from playing DBXV1 I guess. 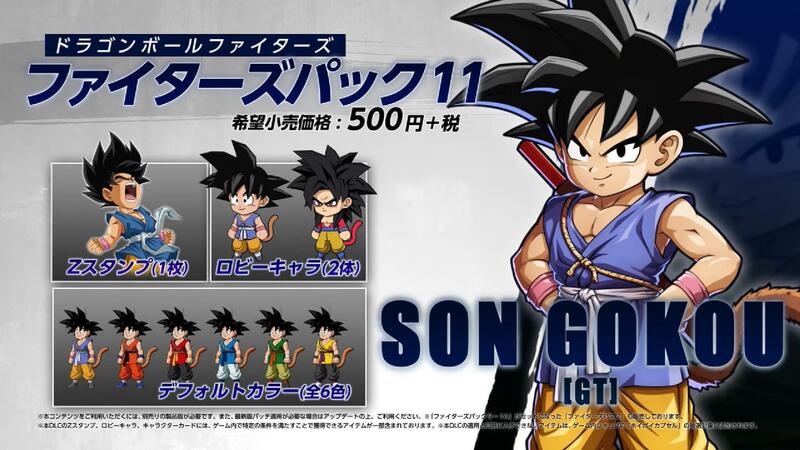 I did buy the kid goku dlc for that game. DBFZ is a fighter and XV2 is a dragon ball game. There we go; don't disagree with me. Still in awe that we're getting this abomination, appeasing neither the fans of Kid Goku nor the fans of (ugh) SSJ4. Yeah but Teen Gohan is actually a cool character while Bardock is wack. I expect for the second DLC character to be announced in the next V-Jump and released a few days later like has been tradition. One of Kefla, Muten Roshi or Janemba would make me extremely happy. The V-Jump scans are out in the wild now. But honestly there's still so many great characters to choose from. Kinda regret buying the season pass. Jiren was awesome, but 4 months later we're getting 1 (!?) character. They're really dragging this out and can't be hyped with MK11 round the corner.